Diminishing Returns has joined Patreon! Now you can, not only help the show out, but gain access to all sorts of exclusive content, including frequent Diminisodes. All for the tiny price of $1 a month. Check it out here! And thank you! That's right, as those of you who've already listened to our latest episode will know, Calvin has sadly had to take an indefinite hiatus from the show. But fret not, for Diminishing Returns shall continue with Allen, Sol and a rolling series of guest-hosts. That's right! The show's going to start featuring more than one guest every 2 years! And don't worry, Bond fans, because Calvin will still pop up as a guest from time-to-time, such as when we do those Bond episodes that we do. Here's to the future of Diminishing Returns... a future of diminishing returns. Today marks the release of a milestone episode of the show. It's been running for nearly two years and at 52 weeks per year, that means that today marks our 100th episode. Go and listen and enjoy! We've already recorded the first two episodes of the next 100, so here's to a hundred more! The results are in and the winner is The Big Momma's House Trilogy! Of course, when you disqualify Allen's 37 votes designed to ruin everybody's fun, then the real winner is The Back to the Future Trilogy. Huzzah! Allen has confessed to his crimes and will be punished in due course. Maybe we'll do Big Momma's House one day, but come January, we'll be bringing you the Back to the Future franchise. Thank you to everyone who voted. We'll try to do you proud! The listener vote poll will officially be closing at the end of this week (Sunday, the 3rd of December). If you haven't already, go and get your votes in now. Your selection will be covered on an episode of Diminishing Returns released in January, so go out there and let your voice be heard! Lisa is portrayed as a sociopathic traitor to Johnny's love. But there is more to her than Tommy Wiseau realises. Remember That Listener Vote Episode? Remember that listener vote episode we announced months ago? Originally, it was supposed to be out this year, but various schedule changes forced us to push it back to early 2018. Don't worry; it's still going to happen! Unfortunately, Allen seems to have been taking the extra time to stuff the ballot full of votes for the Big Momma's House series, so assuming you'd rather we talk about the Back to the Future or Matrix trilogies, head over to our voting page and vote! Vote! Don't let Allen subvert democracy! This week's new episode is our second Halloween special. That's right; we can now officially call our "Podcast of Horror" episodes an annual tradition. This time round, we've got some surprises up our sleeves. "Podcast of Horror II" is all about The Blair Witch Project and its sequels. In addition to our usual schtick of reviewing the series, then pitching our own ideas for follow-ups, we've got some clips from audio commentaries and an interview with Ed Sanchez, (director of the first film), himself (in which he drops some interesting news about a possible Blair Witch follow-up). We have locked down our recording schedule for the rest of the year, so I thought I'd take the opportunity to drop a few hints regarding what you can expect from us in the rest of 2017. There will be at least one more James Bond episode this year (and also something so close to James Bond that it might as well be a James Bond episode). There will be an episode based on an unlikely film series that has been requested by a number of listeners since we started. We'll follow through on another listener request made back when we launched the podcast in June 2016. 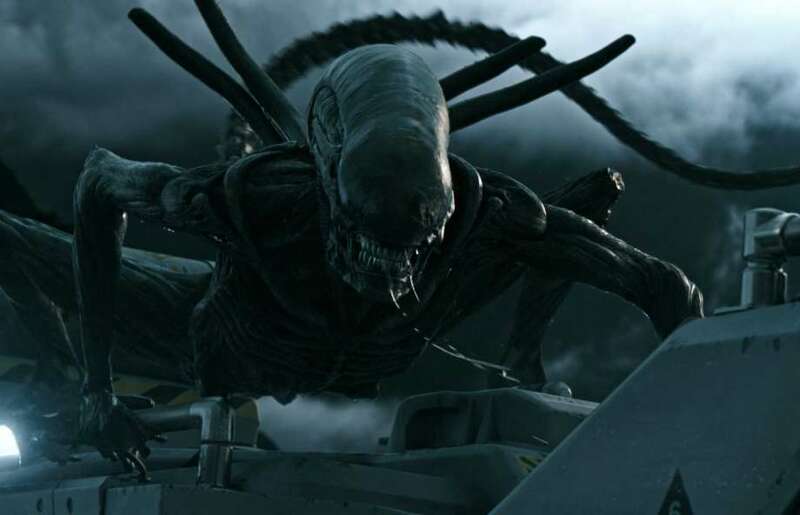 We're covering some incredibly prolific horror franchises throughout October. We have another special season of episodes planned, and I think you're all going to really appreciate this one. I'll leave you with some new episode artwork that'll give you some further clues. We don't tend to update the newsfeed for new episodes. We give you one every Monday without fail. You all know that. That's not news. It's "olds", if anything. But this week is different because this week, the new episode, is part of our ongoing James Bond retrospective. We know a lot of our listeners are big Bond fans, so this is a big episode. More than that, however, this may just be the best episode of the show to date. This week's episode is "You Only Live Twice" and it starts out with all the usual film discussion, but we got quite manic towards the end - something that often comes with a late-night record. Not to mention that this week's selection of sequel pitches are particularly good. So please do go ahead and listen! And tell your friends! And subscribe! And rate and review us on iTunes! Oh, and if you're here for the listener vote discussed in the episode, then head here to get involved. At the time of writing, Big Momma's House has inexplicably overtaken The Matrix, so anything could happen! An infographic explaining the complicated web of "of the Dead" movies that followed George A. Romero's Night of the Living Dead. 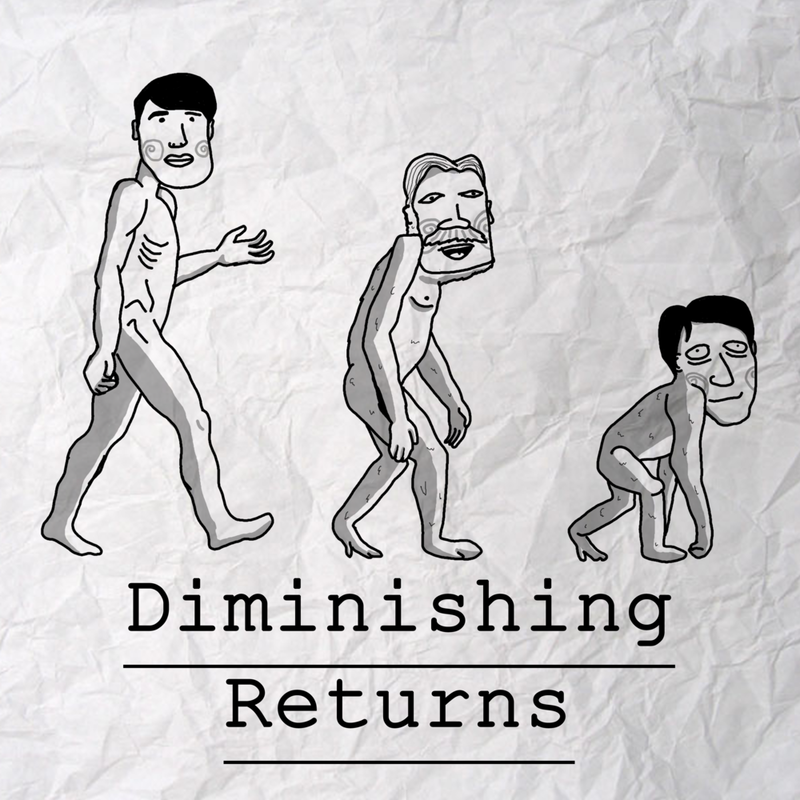 Diminishing Returns is holding a user-vote to determine the film series we cover in an upcoming episode later this year! Normally, when there's nothing obvious to tie an episode into, Calvin, Allen and Sol take turns choosing the films to talk about. However, Allen isn't capable of making decisions for himself any more, so he's shortlisted some ideas and now it's up to you - yes, you, the listener - to vote for the one you want to hear. Head to the voting page, here, and cast your ballot! We've just uploaded another new Diminishing Returns video treat. Remember that discussion of that scene that Sol absolutely loves from The Mummy's Curse during our The Mummy episode? Well, now you can check that scene out for yourself... with Sol talking over the top of it. It's like a micro-episode of Diminishing Returns with video accompaniment! We at Diminishing Returns hope to bring you a selection of video pieces moving forward, now that we have this fancy new website where we can show them all off. The first is a nice, clean listening post, comparing the soundtracks of the films Pirates of the Caribbean: The Curse of the Black Pearl, Gladiator and The Lion King 2: Simba's Pride. This audio was heard (and discussed) in our latest episode "Review of the Year: Part 1", but now you can listen to it without us talking over the top of it and decide for yourself!